John has been a familiar broadcast voice and face in the Midlands. For 20 years, he was the BBC’s first political editor for the East Midlands and reported from both Downing Street, outside Parliament and nearer to home, on the local political scene. 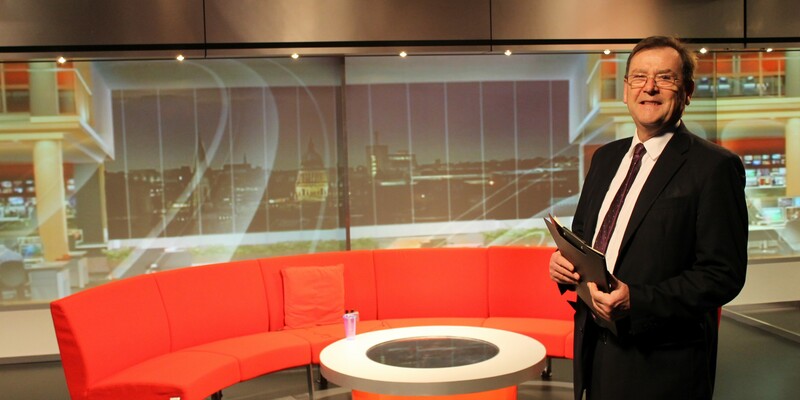 Even though he retired after 35 years with BBC news, John returned to our TV screens as part of the BBC’s coverage of the EU Referendum campaign, and – more recently – he’s been working again for BBC One’s “Sunday Politics”. He is now an Honorary Professor at the School of Politics and International Relations, at the University of Nottingham. John is also chair of the Nottinghamshire-based Music for Everyone charity – which promotes to all ages – the enjoyment of playing and singing music. He is also a trustee of Inspire, the new charity that runs the library, cultural and archive services in Nottinghamshire. During his BBC career, he was a regular pundit on election night specials and had interviewed every British Prime Minister since Mrs Thatcher. He also appeared on Radio Four’s Today programme, the BBC News Channel and Radio Five Live. Away from political journalism, John has broadcast on Radio 3 in a programme about choirs and made a celebrated film about the art of new British burlesque for BBC1’s “Inside Out”. He is skilled at live broadcasting and bringing the very best out of interviewees and guests unused to the demands of broadcasting and news programmes. During his distinguished broadcasting career, he was nominated for three Royal Television Society awards and for two years running was a finalist in the Midlands Media Awards as TV journalist of the year. He was a member of the Westminster-based parliamentary lobby of journalists and regularly brought his inside knowledge to viewers of both “East Midlands Today” and BBC1’s “Sunday Politics”. He has also hosted events at Nottingham Playhouse with politicians-turned-authors Alastair Campbell and Alan Johnson. His journalistic career started in newspapers in the 1970s, and worked for the Coventry Evening Telegraph and the Birmingham Evening Mail. A father of three grown children, John lives in West Bridgford. His other interests include the theatre and languages. He’s studying both German and Italian.